I just realized that those of you who don’t “Like” me on Facebook (or aren’t part of the 10% of my “Likers” they felt like showing my posts to that day) have been missing out on some good stuff. Of course, I may be biased, but that’s beside the point. I hope you’ll hop around the web to enjoy these posts I’ve written for other sites (somewhat) recently. Ha, as if there are only 4 things. Well, these are the 4 I chose to write about for Yahoo! Shine. No doubt this could be a whole series! 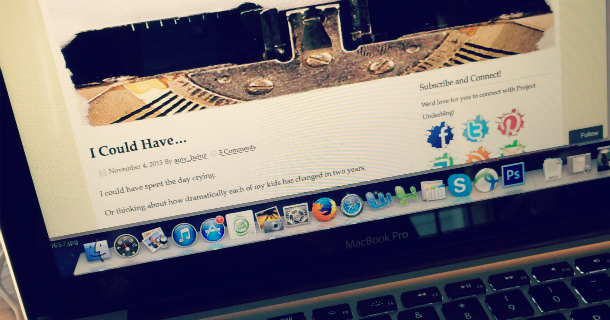 My monthly piece for Project: Underblog makes me a bit weepy. Even though it’s not supposed to. Thanks for your clicks, comments, and support. I really and truly appreciate all of it!